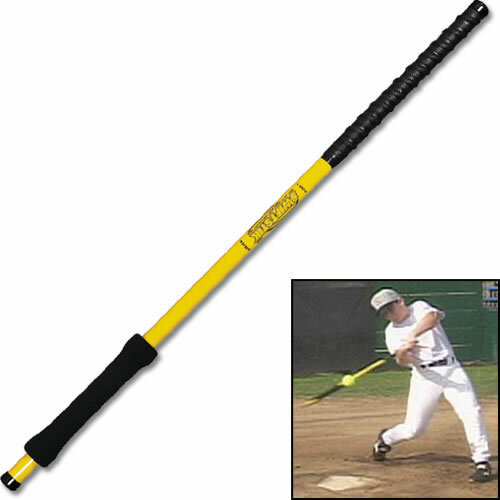 Swift Stik is a lightweight training bat that replicates the weight distribution of a game bat. It was designed to help hitters improve their batting average by building muscle memory, increasing bat speed, improving hand-eye coordination and isolating the sweet spot. Three key elements of Swift Stik  the fiberglass shaft, patented foam head and ridged grip tape  all work together to make Swift Stik the most complete hitting tool on the market. Includes training balls and instructional video.